If you are interested in a particular car, ask the dealer or owner if you can take it on a test drive. Try to drive the car under many different conditions, such as on hills, highways, and in stop-and-go traffic. You also may want to ask the dealer or owner whether the car has ever been in an accident. Find out as much as you can about the car's prior history and maintenance record. Getting an independent inspection by an experienced mechanic is a good idea before purchasing any used car. Be prepared to negotiate. Many dealers and individuals are willing to bargain on price and/or on warranty coverage. If something goes wrong with your car and you think that it is covered by a warranty (either express or implied) or a service contract, refer to the terms of the warranty or contract for instructions on how to get service. If a dispute arises concerning the problem, there are several steps you can take. First, try to resolve the problem with the salesperson or, if necessary, speak with the owner of the dealership. Many problems can be resolved at this level. However, if you believe that you are entitled to service, but the dealer disagrees, you can take other steps. If your warranty is backed by a car manufacturer and you have a dispute about either service or coverage, contact the local representative of the manufacturer. This local or "zone" representative has the authority to adjust and make decisions about warranty service and repairs to satisfy customers. Some manufacturers also are willing to repair certain problems in specific models free of charge, even if the manufacturer's warranty does not cover the problem. Ask the manufacturer's zone representative or the service department of a franchised dealership that sells your car model whether there is such a policy. If you cannot get satisfaction from the dealer or from a manufacturer's zone representative, contact the Better Business Bureau or a state agency, such as the office of the attorney general, the department of motor vehicles, or a consumer protection office. Many states also have county and city offices that intervene or mediate on behalf of individual consumers to resolve complaints. You also might consider using a dispute resolution organization to arbitrate your disagreement if you and the dealer are willing. Under the terms of many warranties, this may be a required first step before you can sue the dealer or manufacturer. Check your warranty to see if this is the case. 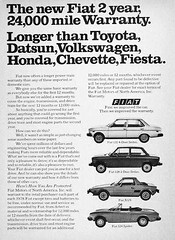 If you bought your car from a franchised dealer, you may be able to seek mediation through the Automotive Consumer Action Program (AUTOCAP), a dispute resolution program coordinated nationally by the National Automobile Dealers Association and sponsored through state and local dealer associations in many cities. Check with the dealer association in your area to see if they operate a mediation program. If none of these steps is successful, you can consider going to small claims court, where you can resolve disputes involving small amounts of money for a low cost, often without an attorney. The clerk of your local small claims court can tell you how to file a suit and what the dollar limit is in your state. The Magnuson-Moss Warranty Act also may be helpful. Under this federal law, you can sue based on breach of express warranties, implied warranties, or a service contract. If successful, consumers can recover reasonable attorney's fees and other court costs. A lawyer can advise you if this law applies to your situation. Write: Public Reference, Federal Trade Commission, Washington, DC 20580. If you have additional questions about the Used Car Rule, contact the Federal Trade Commission Office nearest you. About one-half of all used cars sold by dealers come "as is," which means there is no express or implied warranty. If you buy a car "as is" and have problems with it, you must pay for any repairs yourself. When the dealer offers a vehicle for sale "as is," the box next to the "As Is--No Warranty" disclosure on the Buyers Guide will be checked. If this box is checked but the dealer makes oral promises to repair the vehicle, have the dealer put those promises in writing on the Buyers Guide. 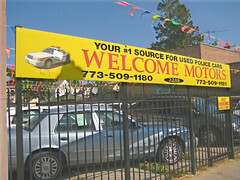 Some states (Connecticut, Kansas, Maine, Maryland, Massachusetts, Minnesota, Mississippi, New York, Rhode Island, Vermont, West Virginia and the District of Columbia) do not permit "as is" sales for most or all used motor vehicles. Implied warranties exist under all state laws and come with almost every purchase from a used car dealer, unless the dealer tells you in writing that implied warranties do not apply. Usually, dealers use the words "as is" or "with all faults" to disclaim implied warranties. Most states require the use of specific words. "If the dealer makes oral promises, have the dealer put those promises in writing." The "warranty of merchantability" is the most common type of implied warranty. This means that the seller promises that the product will do what it is supposed to do. For example, a car will run, a toaster will toast. Another type of implied warranty is the "warranty of fitness for a particular purpose." This applies when you buy a vehicle on the dealer's advice that it is suitable for a particular use. For example, a dealer who suggests that you buy a specific vehicle for hauling a trailer warrants, in effect, that the vehicle will be suitable for hauling a trailer. If you buy a vehicle with a written warranty, but problems arise that the warranty does not cover, you may still be protected by implied warranties. Any limitation on the duration of implied warranties must appear on the written warranty. In those states that do not permit "as is" sales by dealers, or if the dealer offers a vehicle with only implied warranties, a disclosure entitled "Implied Warranties Only" will be printed on the Buyers Guide in place of the "As Is" disclosure. The box next to this disclosure would be checked if the dealer chooses to sell the car with implied warranties and no written warranty. A copy of the Buyers Guide with the "Implied Warranties Only" disclosure is shown on page 7. When dealers offer a written warranty on a used vehicle, they must fill in the warranty portion of the Buyers Guide. Because the terms and conditions of written warranties can vary widely, you may find it useful to compare warranty terms on cars or negotiate warranty coverage. or a system covered by the warranty. * No limit is placed on the duration of implied warranties. If any one of the above statements is not true, then the warranty is "limited." A "full" or "limited" warranty need not cover the entire vehicle. The dealer may specify only certain systems for coverage under a warranty. Most used car warranties are "limited," which usually means you will have to pay some of the repair costs. By giving a "limited" warranty, the dealer is telling you that there are some costs or responsibilities that the dealer will not assume for systems covered by the warranty. * Whether a deductible applies. Under another federal law, the Magnuson-Moss Warranty Act, you have a right to see a copy of the dealer's warranty before a purchase. Examine the warranty carefully before you buy to see what is covered and what is not. It contains more detailed information than the Buyers Guide, such as a step-by-step explanation of hoax to obtain repairs if a covered system or component malfunctions. Also check who is legally responsible for fulfilling the terms of the warranty. If a third party is responsible, the best way to avoid potential problems is to make sure that the third party is reputable and insured. You can do this by asking the company for the name of their insurer and then checking its performance record with your local Better Business Bureau. If the used vehicle is still covered by the manufacturer's original warranty, the dealer may include it in the "systems covered/duration" section of the Buyers Guide. This does not necessarily mean that the. dealer offers a warranty in addition to the manufacturer's. In some cases, a manufacturer's original warranty can be transferred to a second owner only upon payment of a fee. If you have any questions, ask the dealer to let you examine any unexpired warranty on the vehicle. or is a shorter contract available? consider the amount and terms of the deductible. dealership from which you purchased the contract. service contract, and what the costs are if you cancel. If a service contract is offered, the dealer must mark the box provided on the Buyers Guide, except in those states that regulate service contracts under their insurance laws. If the Buyers Guide does not include a reference to a service contract, and you are interested, ask the salesperson whether one is available. When you purchase a service contract from the dealer within 90 days of buying the vehicle, federal law prohibits the dealer from disclaiming implied warranties on the systems covered in that service contract. For example, if you buy a car "as is," the car normally will not be covered by implied warranties. But if you buy a service contract covering the engine, you automatically get implied warranties on the engine, which may give you protection beyond the scope of the service contract. Make sure you receive a written confirmation that your service contract is in effect. Whenever you purchase a used car from a dealer, you should receive the original or an identical copy of the Buyers Guide that appeared in the window of the vehicle you bought. The Buyers Guide must reflect any changes in warranty coverage that you may have negotiated with the dealer. It also becomes a part of your sales contract and overrides any contrary provisions that may be in that contract. The Buyers Guide warns consumers not to rely on spoken promises. Oral promises are difficult, if not impossible, to enforce. Make sure all promises you want are written into the Buyers Guide and keep it. The Buyers Guide also suggests you ask the dealer whether you may have the vehicle inspected by your own mechanic. Some dealers will let you take the car off the lot to get an independent inspection. Others may have reasons, such as insurance restrictions, for denying this request. In such a case, the dealer may permit you to bring an independent mechanic to the used car on the lot. A dealer who refuses to allow any independent inspection may be telling you something about the condition of the car. Remember, a good-looking car, or a car that comes with a warranty, does not necessarily run well. An independent inspection lets you find out about the mechanical condition of the vehicle before you buy it. Although an inspection fee by a mechanic may seem high, when you compare it to the price of the car, it can be worth the cost. The Buyers Guide includes a list of the 14 major systems of an automobile and some of the major problems that may occur in these systems. You may find this list helpful to evaluate the mechanical condition of the vehicle. The list also may be useful when comparing warranties offered on different cars or by different dealers. On the back of the Buyers Guide, you will find the name and address of the dealership. In the space below that, you will find the name and telephone number of the person at the dealership to contact if you have any complaints after the sale. If you buy a used car and the sales talk is conducted in Spanish, you are entitled to see and keep a Spanish-language version of the Buyers Guide. This year, millions Americans will buy a used car. Why buy used? Because a frugal person knows that the minute you drive a new car off the lot, you lose thousands of dollars in value, not a frugal choice. Also, the depreciation in value over the first couple of years is astronomical. So if you’re frugal and used is what you are planning, this post may help you. It explains your protections under the FTC's Used Car Rule and offers some shopping suggestions, even if you are not buying from a used car dealer. Before you begin looking at used cars, think about what car models and options you want and how much you are able or willing to spend. You can learn about car models, options, and prices by searching on the Internet and by reading newspaper ads, both display and classified. Also, your local library and book stores have magazines that discuss and compare car models, options, and costs, as well as provide information about frequency-of-repair records, safety tests, and mileage. The U.S. Department of Transportation Auto Safety Hotline (800-424-9393) will tell you if a car model has ever been recalled and send you information about that recall. - Costs. Remember, the real cost of a car includes more than the purchase price: it includes insurance, maintinance and repairs. loan terms and interest rates should not be a consideration, because living the frugal lifestyle means avoiding debt and interest and paying cash for purchases. - Reliability. You can learn how reliable a model is by checking in publications for the frequency-of-repair records. Find out what models have repair facilities in a location convenient to you and if parts are readily available at the repair facility. - Dealer Reputation. Find out from experienced people whoseopinions you respect which dealers in your area have good reputations for sales and service. You may wish to call your local consumer protection office and the Better Business Bureau to find out if they have any complaints against particular dealers. Whether the vehicle comes with a warranty and, if so, what specific protection the dealer will provide. Whether the vehicle comes with no warranty ("as is") or with implied warranties only. That you should ask to have the car inspected by an independent mechanic before you buy. That you should get all promises in writing. What some of the major problems are that may occur in any car. The Used Car Rule requires dealers to post the Buyers Guide on all used vehicles, including automobiles, light-duty vans, and light-duty trucks. "Demonstrator" cars also must have Buyers Guides. But Buyers Guides do not have to be posted on motorcycles and most recreational vehicles. Individuals selling fewer than six cars a year are not required to post Buyers Guides. Before you go to the Christmas tree lot and spend $20-$50(or more)for your tree this year, consider cutting one down from the National Forest. Permits are $5 each in my area and there is a limit of 3. This may not be the case where you live but it's worth a call to the National Forest Ranger District closest to you. Many offices are open on Saturdays during the holidays. Call ahead to make sure. We have been doing this for the past 10 years and it has become one of our favorite traditions. We have many fond memories of hiking in the woods looking for the perfect "Rouse Family Christmas Tree". Make sure you prepare for the weather. A good time can go bad quickly when little ones are cold. You will also most likely be on back country roads where it can be easy to get stuck (2004). Most importantly have fun and enjoy this time together with your family.